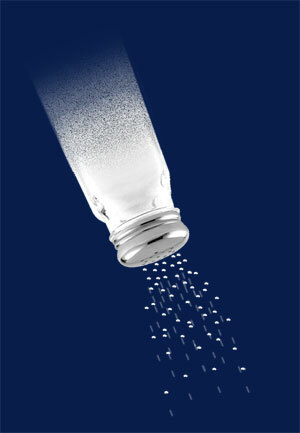 Studies have shown that higher sodium (salt) intake is associated with higher blood pressure. If you are at risk for high blood pressure, you might want to consider limiting your salt intake. Preparing your own low-sodium meals instead of buying ready-made canned food, snack foods, fast food, etc. can be helpful. Instead of seasoning with salt, use other spices available in your kitchen. Also begin to read labels and become aware of how much sodium you are taking in each day. The average American consumes 6,900 to 9,000 mg of sodium per day, while the recommended dosage is only 500 mg. Here are a few strategies that you can implement in your daily life to prevent diabetes: Exercise regularly, make sure you get sufficient fiber in your diet, eat whole grains, maintain a healthy weight, and talk to your doctor and get tested early (if over age 45).